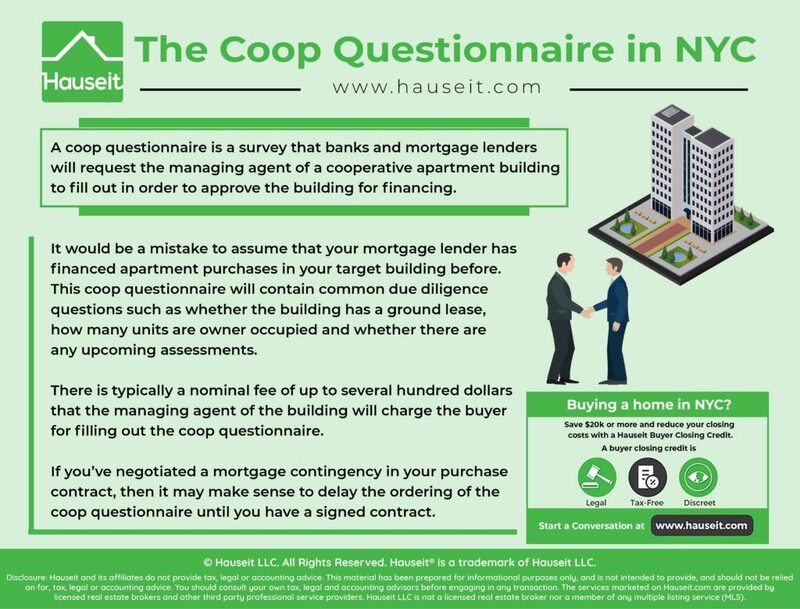 A coop questionnaire is a survey that banks and mortgage lenders will request the managing agent of a cooperative apartment building to fill out in order to approve the building for financing. So why is your bank asking for a coop questionnaire to be filled out? Does this mean the bank hasn’t approved the building yet? We’ll answer all of these questions and more in the following article by Hauseit. It would be a mistake to assume that your mortgage lender has financed apartment purchases in your target building before. If they have not, then the building won’t be approved in their systems and they will need the managing agent of the building or an officer of the co-op corporation to fill out a coop questionnaire. This coop questionnaire will contain common due diligence questions such as whether the building has a ground lease, how many units are owner occupied and whether there are any upcoming assessments. 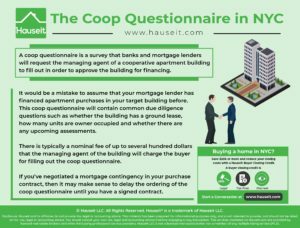 There is typically a nominal fee of up to several hundred dollars that the managing agent of the building will charge the buyer for filling out the coop questionnaire. If you’ve negotiated a mortgage contingency in your purchase contract, then it may make sense to delay the ordering of the coop questionnaire until you have a signed contract. Similarly, you may want to avoid further expenditures by delaying the ordering of the bank’s appraisal of the property until you have a signed contract. 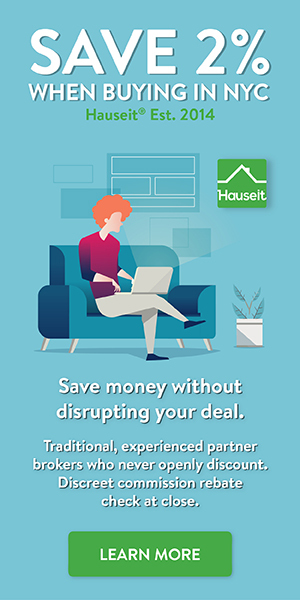 Otherwise, because real estate offers are not binding until both the buyer and the seller sign the contract, you may be wasting money on a deal that gets away from you! Have the house rules been modified since the offering plan? – If so, when was the most recent modification? What is the sublet policy? What is the building’s pet policy? Are pied a terres allowed? Are parents allowed to buy for children?